Approximately 80 percent of American adults suffer with back pain at some point in their lives. These conditions are the second leading reason for medical visits, and for lost work days. Fewer than 1 percent of patients experiencing spine related pain have serious physical problems that make them candidates for surgery. Conventional medical protocols for the kind of spine pain that most people suffer are often inadequate. The average medical student receives only limited training in back pain and related musculoskeletal problems. Many physical therapy modalities have not been shown to be effective; and bed rest is considered to be counterproductive. Numerous studies have shown that chiropractic treatment is both safe and effective. Patient satisfaction for chiropractor provided services has been shown to be higher then for medical provided services for the management of back pain . There is now more evidence in support of the safety and efficacy for spine manipulation then for many other treatments commonly prescribed for these disorders. Interest in chiropractic technique has also been spurred by the prevalence and high cost of treating back pain. 94% of the spine manipulation in the country is performed by chiropractic providers. Relations between the medical and chiropractic professions are improving. Physicians are making referrals to chiropractors more then ever before as they realize that patients benefit from the care they receive. More than half of family physicians now encourage patients to see chiropractors. Chiropractors increasingly are being included on the staffs of HMO’s, PPO’s, and they can be found working side by side with physicians in multidisciplinary group practices, and hospitals. Many professional athletes access chiropractic care. Chiropractic doctors are also included on the medical staffs that provide care for the US Olympic Teams. Until 1980, the American Medical Association told physicians that it was unethical to refer patients to chiropractors. In 1987, the AMA was found in violation of federal antitrust laws in conspiring to restrict cooperation between individual MD’s and chiropractors in order to eliminate chiropractic as a competitor in the U.S. health care system. The court issued an injunction against the AMA, permanently barring it from restricting associations between MD’s and chiropractors. Most medical associations have changed former ethical rulings against referral to chiropractic practitioners. 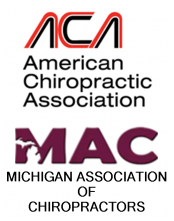 The American Medical Association, as well as the American College of Radiologists, the American College of Surgeons, and the American Hospital Association all have adopted express policies of cooperation with chiropractic providers. Other factors that have spurred cooperation are the growing number of published scientific studies, federal health care policy panels, and interprofessional organizations – such as the American Back Society, that have chiropractors and medical physicians jointly collaborating on research, clinical standards, practice guidelines, and protocol development. As a result, physicians are increasingly referring patients to chiropractic practitioners, particularly as they establish working professional relationships with such a provider. Here is an interesting paper on the course of low back pain. Note that in subjects with LBP of less that 3 months duration only 33% had recovered by the 3 month point and 65% continued to have LBP one year later. The authors state that “The findings of this review indicate that the assumption that spontaneous recovery occurs in a large majority of patients is not justified”. systematic review investigates the clinical course of pain in patients with non-specific acute low back pain who seek treatment in primary care.Databases and data treatment included were prospective studies, with follow-up of at least 12 months, that studied the prognosis of patients with low back pain for less than 3 months of duration in primary care settings. Proportions of patients still reporting pain during follow-up were pooled using a random-effects model. Subgroup analyses were used to identify sources of variation between the results of individual studies. A total of 11 studies were eligible for evaluation. In the first 3 months, recovery is observed in 33% of patients, but 1 year after onset, 65% still report pain. Subgroup analysis reveals that the pooled proportion of patients still reporting pain after 1 year was 71% at 12 months for studies that considered total absence of pain as a criterion for recovery versus 57% for studies that used a less stringent definition. The pooled proportion for Australian studies was 41% versus 69% for European or US studies.Conclusions The findings of this review indicate that the assumption that spontaneous recovery occurs in a large majority of patients is not justified. There should be more focus on intensive follow-up of patients who have not recovered within the first 3 months.